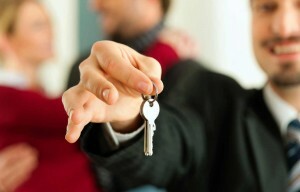 Being a Landlord means being in business! You have invested in a property. You have devoted a lot of time in research to find the best one to suit you. You take the view that this property will be an asset that will achieve capital growth and as an added feature, it will generate an income for you by way of rental income. So make sure that when it comes to being the ‘landlord’ your role is as meticulous as it was when you were looking for your property. Now that you own the property doesn’t mean that your landlord role is just a question of sitting back and the rent will look after itself. After all, you are in business to make money from the property – it is an investment, after all! When making the decision to invest in buy-to-let premises, you need to factor in that there might be times when the property will be vacant for a while. For the investor who is desperate to have a tenant (because not having one will place them under huge financial pressure) then perhaps this was not the right time for this type of investment vehicle. Of course you want your property to be occupied all the time. But the possibility of ‘down-time’ should be taken into account before purchase. A good landlord will know this and have separate funds available to meet levies and services obligations while the premises may stand vacant. They will be able to ensure that regular maintenance is carried out, even when a tenant’s rent is not available to fund it. At IGrow we are able to help you plan the process of your specific strategy on how to obtain maximum finance but also to minimise any risk with non-paying tenants. Even for periods when it is vacant. The well-worn phrase of “position is everything” is particularly true in selecting buy-to-rent properties. Not only from the potential capital growth factor, but also taking the demand for rental properties into consideration for that particular location. Proximity to shops, schools, public transport and other amenities can impact on the demand tenants have for a particular location. IGrow Wealth takes all of these factors into account when helping you plan your investment strategy. Often the question of “who will manage the property?” is overlooked. In the excitement of acquiring a good, well-placed investment property, the owner sometimes wants to take on the role of ‘manager’ himself. But this is not always the best strategy. I’m always of the opinion that specialists in a field do things better than someone who has little experience. As a member of the IGrow Property Club, you can enjoy the benefits of affiliated rental agents – specialists in this field – at discounted rates. Good rental agents will do everything you expect to safeguard your asset – full credit checks on tenants, putting all the correct legal documentation in place, collections and day-to-day interactions that keep you in the picture, but not personally involved. They will also advise on the right rental to charge on your property. They will have the experience of knowing what is acceptable and what would be outside a competitive market rate. However, if you feel you would like to take on the role of hands-on landlord and interact directly with tenants, then your membership of the IGrow Property Club will give you access to all the assistance you may need. This will ensure that all the correct procedures are followed to your satisfaction and everything possible is in place to protect your asset and your cash flow. You can be assured that the specialist attorneys and investment team will provide you with the documentation and agreements to protect you and the tenant within the scope of the law. Thus assuring you that everything possible is in place so that your investment can perform in the best way possible as the buy-to-rent asset you need it to be. For more advice and guidance on what it means to be a landlord, look to the independent specialists who have the right team of professionals working with them that gives them the track record of success, integrity and security that you want. In the property investment business this is no exception. Contact us at IGrow Wealth – my team and I will help you on the road to achieving the success you deserve.